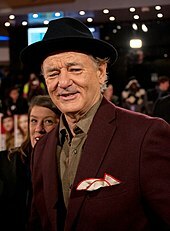 For other people named Bill Murray, see Bill Murray (disambiguation). ^ "The Time Bill Murray Got Busted for Pot". Esquire. 2015-09-10. Retrieved 2018-10-30. 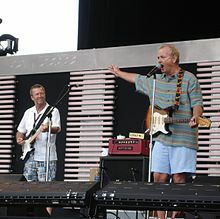 ^ "Bill Murray and brothers open 'Caddyshack' restaurant today in Rosemont". WGN-TV. 2018-04-17. Retrieved 2018-11-27. ^ "Tour Bill Murray and Brothers' New Restaurant, a Space Jammed With 'Caddyshack' Jokes". Eater Chicago. Retrieved 2018-11-27. ^ Thomas, Zane (15 December 2012). "'Scrooged" a wonderful parody of a holiday classic". Tulsa World. Retrieved 10 October 2018. ^ a b Horn, John; Goldstein, Patrick (3 October 2003). "Film sets loose, but barbarian behavior rare, insiders say". The Baltimore Sun. Retrieved 10 October 2018.